In case you still haven't read Illuminati: The Book of Life, spice up your summer heatwave with this excerpt! Then grab a copy before the sequel comes out! “Don’t go,” he whispered. She looked up at him as he turned to his side and gazed down into her face. She stared at him silently, and he wished he knew what she was thinking. He glanced at her lips, noting that they were again soft and smooth, full and enticing. Her tongue slipped between them and lathered them with a wet sheen. It was her complete lack of artifice that made the movement so seductive. He remembered kissing her before, her inexperienced awareness and natural passion, a heady combination. Her eyes darkened from lavender to violet to that cerulean blue. The pupils dilated. He leaned forward by a mere few inches and paused. Her cheeks were flushed, and he detected a sudden increase in the rise and fall of her chest. It nearly matched his own. His rigid control had become an almost painful entity. Unable to resist, he reached out and palmed her cheek, running his thumb across the full suppleness of her bottom lip. A puff of warm breath rushed between her lips and she stared up at him expectantly. He moved his thumb to trace the bow of her upper lip, a trail his tongue had once journeyed. The remembrance of it flickered in her eyes. She reached up to grab the back of his head and pulled him down until she could capture his lips with hers. He raised his head and took a deep breath. “Kiss me, Luc. I want you to kiss me,” she said. Not one to argue first thing in the morning, he did as he was told and kissed her long and well and then turned to his back and pulled her with him. Surprised, she moved up and over him, laying across his body as she lowered her mouth to learn more about the taste of his. I've had the pleasure of seeing some poetry I've written published back in the day when I wore bell-bottoms and thought Cher was a fashionista. I've also been fortunate to have had some articles picked up on the topic of literacy when Barbara Bush made that issue the theme of her tenure as First Lady. But none of this prepared me for the publication of my flrst novel. were. Before I had a chance to slip into any kind of false humility at my accomplishment,or worse yet, become self effacing at praise for my hard work, I was hit with the "business-end" of the reality stick! While I have used computers most of my adult life, I still don't have the competency of my 11 year old granddaughter to negotiate the subtleties of on-line social networking. Twitter, Pinterest, Goodreads, google+ and of course, Facebook, are all part of the tools of my trade as an author in today's marketplace. Like any business person, I now had to pose my product (my book) in flatterlng language, reach out to the known and unknown reader alike and sell the idea of buying my novel. a monster Mary Shelly would have loved! And speaking of Frankenstein, I needed to give life to a medla packet of my own devising. Packaging of any product needs to be attention grabbing to stand out among the many items surrounding. The same goes for trying to put a spotlight on yourself as a writer and your book as good entertainment. Sitting down at my computer under some duress, as it is spring after all...l had to develop a business plan of sorts: First, create the product. My target audience was Young Adult Readers and my genre was Urban Fantasy/Paranormal. It seems a perfect vehicle for my fanciful imaginings and if you think "Harry Potter" you'd know what my influences were. 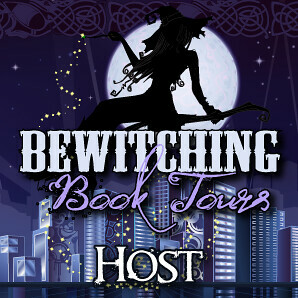 Very excitedly, I lined up a flrst Book Signing Tour! I call it a "tour" because I'11 probably walk around the store a lot since I can't resist the call of so many books! Hopefully, I will not only sell all of my copies, but I'11 also make 1oyal customers who'll flnd me charming, witty and reasonably priced...not necessarily in that order. Business acumen comes with experlence and hard lessons well-learned. Being an author comes with similar guidelines for a successful career. as it surely encircles our business life as much as it encircles the globe. Make it extiting, make it unique, make it part of the lexicon of the day. A while ago, I watched a fasclnating movie about the late Steve Jobs. the lexicon of the day. And not just today...but tomorrow! my favorite word is YES! IWSG: So You Wanna Be a Rock Star...What's New Pussycat? If you want to be a rock star, you need a platform so everyone can see you, especially if you're not very big yet, like the little guy to the left. Though we're talking about being a writer instead of a singer, just another art form, you still need a platform. You need an author platform. In a previous blog, I talked about creating your author brand. Now I want to talk about expanding that brand and using it as the foundation for your author platform. Before you understand how to create or strengthen your author platform, it will be helpful to break it down into parts, especially for those authors just starting out. I have broken it down into four parts, and borrowed some memorable branding to keep it from getting too overwhelming. 1. You Rock, for Dummies. 2. Hello, can you hear me now? 3. Soylent Green and Social Media are people. This section answers the question of why you write what you write. They tell you to write what you know, but we all know a lot of things. How did you decide what to write about? It's probably something you know a lot about, or at least something you were interested in learning more about. By the time you finished your project I'll bet you were an expert. For me it was a classical education with a strong focus in Western Civ, ancient and medieval history, mythology and literature, and the heart of a true romantic. So of course I rock in Paranormal Romance! I write what a know and love! What could be more fun? Since I love fantasy/paranormal/horror (think fairy tales! ), I gravitate to those reads, readers, writers, and already knew quite a few of them before I retired from teaching and found time to write my own stories. Once I became a published author, I needed to expand that community, and slowly but surely continue to grow my list of contacts. One of the best ways for a writer to do this is to Google search your genre, find review sites, book clubs, writer groups in and/or out of Goodreads, blog and follow back blogs to expand your circle, and continue to grow your group of fans and favorites. For those of the younger generations (okay, most of you! ), Soylent Green is an old Charlston Heston movie in which old folks go to a center where they find "rest" from a world they can no longer abide. What they and the rest of the population don't know is that they are turned into these little green wafers the population uses to get all their nutrition. But, you guessed it, Soylent Green is people! LOL! Well, as amusing as that may be, it sometimes seems like many folks who use social media don't realize that it's people too! To let them know you understand that, you need to chat with them once in a while, like their witty posts and adorable babies and establish human contact in this often too inhuman world. And don't forget library readings, and bookstore signings and podcast interviews or tv and radio! They still print newspapers, in case you didn't realize that! Use every opportunity you can work into your schedule. Always remember to have fun whenever you can too. I have friends who get a gang of gals together for large booksignings and they just love it! The key is consistency, as any frazzled parent or teacher or coach can tell you! Can you keep up with every social media out there? It's not likely if you still have a full time job, kids, etc. ...you know, a life! So what is the solution? Pick only as many social media types as you can handle. Be choosy, cheerful, and consistent! Don't just self-promote. No one likes a bragger, or nonstop spam! Develop an audience that likes to hear from you, and then by all means the occasional promotion is fine. If all you have time for is fb and Twitter, so be it. If you like to browse and pin pictures, then by all means use Pinterest. Whatever works for you. That means whatever you can post something to at least every other day. On Twitter, you should really post at least one a day if possible. Don't beat yourself up about this. Just do your best, try to develop some good habits, and stick to them. You might like to notice on fb when you reach the most people. There are peak online times, and if you are going to post less frequently it's important to find and use them. Don't forget to use those blabbermouths you know and love either! Come on, every family has one, every circle of friends... Write on! Rock Star! IWSG awesome co-hosts for the June 3 posting will beM. Pax, Tracy Jo, Patricia Lynne, Rachna Chhabria,Feather Stone, and Randi Lee!